There are people that help us all year long. Mechanics, babysitters, teachers, hair dressers, mailmen and garbage men all come to mind. While you appreciate their work, when it comes to the holiday season, determining what to give them can be tricky, especially if you don’t know them well. While you may just bake up a big batch of cookies to give to them, let’s be real. Everyone receives cookies this time of year, and after a while, most people are on cookie overload. 1. Make a homemade gift. So, no to the cookies, but that doesn’t mean you still can’t make a gift from scratch. Hot cocoa mix in a jar with a nice bow wrapped around it is always an idea. Or, for a nice change of pace, why not make a barbecue rub or taco seasoning in a jar? Most people like BBQ and tacos, so both gifts are practical and low cost. An even more frugal idea is to buy a large bag of candy, say M & M’s and put them in a jar with a bow around it. If you want to make it cuter, buy a round bowl and put a styrofoam ball on top. Decorate the ball as a snowman’s face and make a top hat out of construction paper. Now you have both a gift of candy and a snowman decoration. We used to have one like this in our home, and it was always fun to get a candy or two out of there. 2. Give a gift card. Another option is to give a gift card for some place most people frequent like Target or, if you know of a coffee lover, Starbucks. This can be a very frugal gift if you belong to a site like Swagbucks and can cash out the Swagbucks you have earned for free gift cards. Another option is to cash out some of your credit card reward points for free gift cards, though you usually have to buy these in bigger denominations, so you might want to save those gift cards for someone you know better. 3. Give something the person can use. If your mail carrier delivers mail on foot, nicely wrap some feet and hand warmers. He will appreciate it on those cold delivery days. Likewise, buy your mechanic some sub sandwiches or a meal he and his coworkers can enjoy at lunch. You could even make a dish like lasagna to bring in if you know them well. 4. Give something to pamper. Make up a basket for your hair dresser or babysitter full of things she can pamper herself with. Maybe some bath salts, a loofah, tea candles. These items don’t have to be expensive if you keep your eye out for sales throughout the year and buy items when they are on clearance. While you want to show the people who help you all year long that you appreciate their effort, you don’t need to spend a fortune doing so. There are many frugal things you can do that will make for a nice present besides giving cookies. 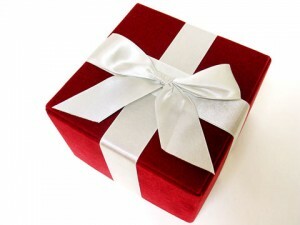 What is your favorite gift to give to a service provider?